Nighttime at the Arabian Coast has a magical feel to it, especially with the moody, atmospheric lighting of blue and purple hues cooling the hot, arid thematic setting. 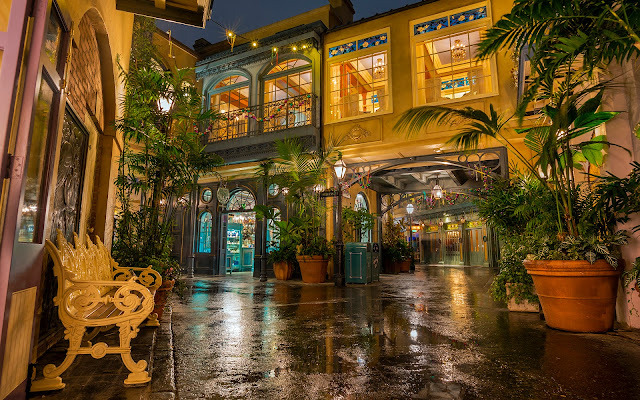 The winding passageways spark a sense of wonder and exploration, but even where spaces open up, there's plenty of charm. 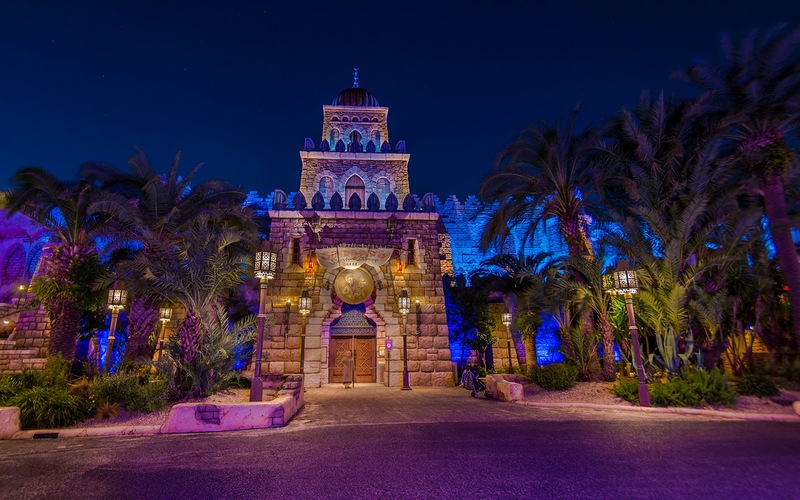 Over by the entrance to Sinbad's Storybook Voyage, a garden of palms creates an oasis that frames a wonderfully lit facade marking the entrance of the ride. 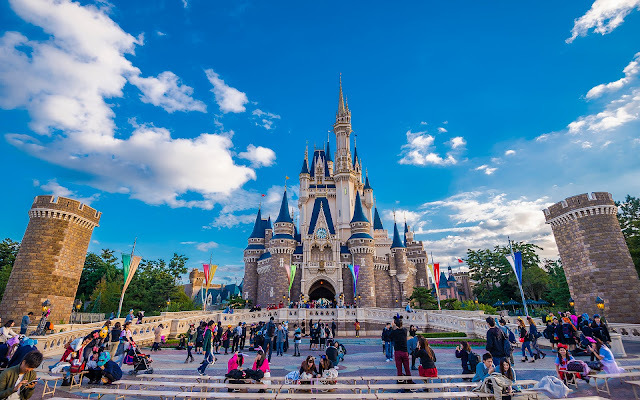 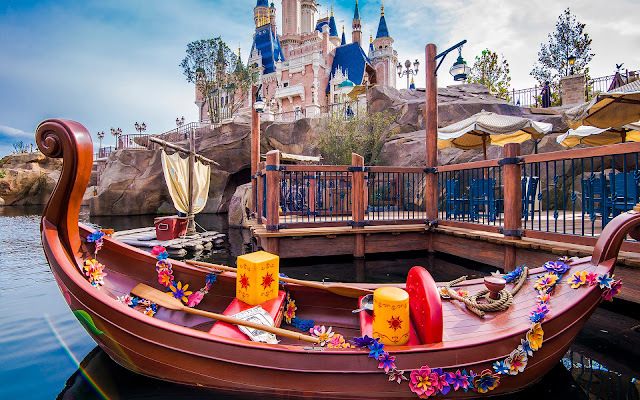 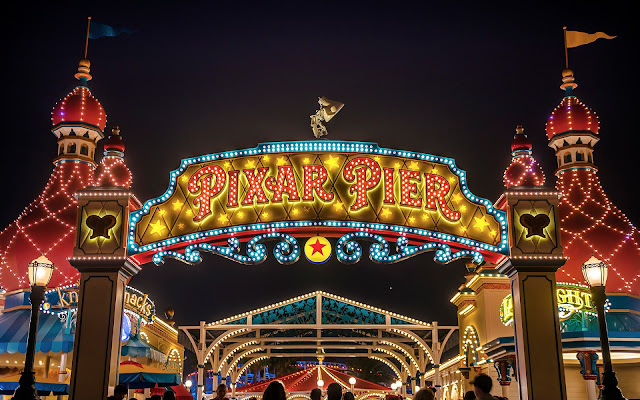 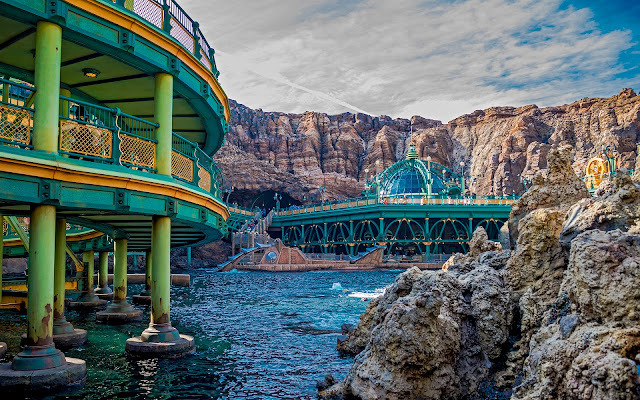 It's an almost dream-like scene that reinforces why Tokyo Disney Sea is the most beautiful theme park in the world!